Speed was the name of the game and none were faster than McLain Ward of the United States to win the $50,000 Weston Canadian Open on Friday night, November 9, at the CSI4*-W Royal Horse Show, held as part of the 96th Royal Agricultural Winter Fair in Toronto, ON. The premise was simple; leave all the jumps in place over the course designed by Ireland’s Alan Wade and do it in the fastest time. Six riders left all the rails up, with Ward accomplishing the feat in a time of 62.71 seconds. His mount was Tradition de la Roque, an 11-year-old black French-bred mare owned by Kessler Show Stables. Canada’s own Keean White of Rockwood, ON, gave it his best effort riding Leilani, an eight-year-old grey Oldenburg mare owned by Lisa Marie Gauthier and Angelstone Farm. With a time of 63.49 seconds, White finished as the runner-up. Capt. Brian Cournane riding Penelope Cruz and Conor Swail aboard GK Coco Chanel took third and fourth places for Ireland respectively with times of 64.11 and 64.70 seconds. Great Britain’s Amanda Derbyshire was fifth with a clear round in a time of 68.17 riding Roulette BH while 2017 Canadian Champion Amy Millar of Perth, ON, posted the only other clear round of the night to finish sixth with Heros. “I love it here,” said Ward, who was a member of the gold medal team at the recent World Championships. “I think this is one of the great events in our sport throughout the world. The atmosphere, the way that they have been able to hold on to so many traditional aspects of the event; I think it’s a phenomenal evening. It’s one of the few places where I come to watch something other than show jumping. The Royal Horse Show goes to the dogs on Saturday afternoon, November 10, with Family Day, presented by McDonald’s. The entertaining K9-Equine Challenge, presented by the Toronto Star, pairs show jumping horses with agility dogs to see who can complete their respective courses in the fastest combined time. 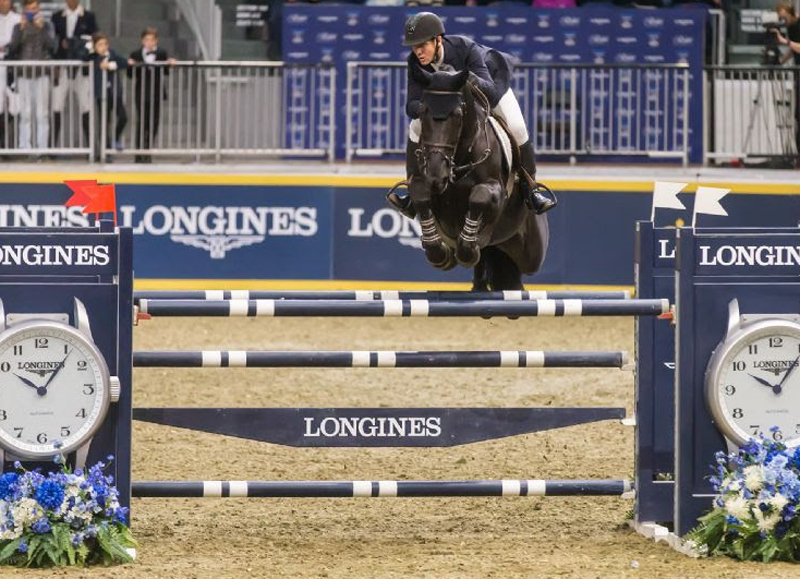 The $205,000 Longines FEI Jumping World CupTM Toronto, presented by GroupBy, will close out the Royal Horse Show on Saturday night, November 10. With prestige, prize money, and qualifying points for the 2019 Longines FEI Jumping World CupTM Final to be held in Gothenburg, Sweden, on the line, the sold-out Coca-Cola Coliseum will showcase show jumping sport at its finest.